Many apple fans have recently reported about few issues regarding their iPhone XS Max. The major issue being about the XS Max's blurry camera! You might have recently got a brand new iPhone XS Max; however, you encounter its camera to be extremely blurry. Camera plays an important role for few apps like Snapchat. And it's not a great news nowadays that all are Snapchat fans! And due to your iPhone XS Mac front camera blurry issue, your iPhone might focus, but it then tends to capture a blurry photo. Though you have tried each and everything, you might have slipped few things. Read below article to know the best solutions for iPhone XS Max camera look blurry back issue. Dust, dirt as well as smudge on your iPhone XS Max lens might result in the camera's low focus problem. You should take a note that every smartphone camera tends to follow a particular algorithm so as to set up proper focus. And in any case if the camera is not able to do so and detect a particular point due to your iPhone's dirty lens, obviously it cannot focus appropriately and will provide you a blurry picture once you click any photo with it. In general, while getting such kind of problem fixed, one should first go and check for their iPhone's lens. If it is full of dust and dirt, you know where the problem lies. Preferably, we would suggest to go for a microfiber cloth to clean your camera lens but in case you do not have one, any other soft cloth can also be used for cleaning. If any visible smudge or dirt is present on lens, simply try avoiding to clean it by with your finger and pressing it. Instead, go for the cloth and clean it. If you are crazy about using some trendy external case for your iPhone XS Max, we recommend you to get it removed and simply check if you can see any difference and that the camera works properly. Many a times, aftermarket cases slow down the performance of iPhone XS Max's camera due to the incorrect measurements or even the additional plastic shade making your device's camera blurry and dark. Take the same photos with and without your device case and just check if you get any difference. If after all the cleaning work you are still dealing with "iPhone XS Max camera look blurry" issue, you need to go for some serious solution. Usually, your iPhone XS Max' camera should intelligently focus; but in case it is not able to perform this, there is definitely some other reason behind its non-performance. So to get this issue solved, just try to close your camera app and again restart it normally. There might a chance that your camera app is dealing with some internal bug that is causing this issue. Similar to other apps in your iPhone XS Max, camera app may also get problems simply. In case the bug tends to be minor and temporary, you can solve it by simply quitting the camera app and again re-starting it. Follow below steps to solve the issue. Step 1: Go to the app switcher and look out for camera app that you wish to close. Simply swipe in the upward direction; this will close camera app. Step 2: Now go to the camera app icon and tap on it to re-open the app. Click few pictures and check if the issue is solved. If your "iPhone XS Max camera look blurry background" issue is still unresolved, try to solve it by just a simple force restart of your device. The OS of your iPhone XS Max may be dealing with some bug and causing the camera functioning. And hence a simple system reboot might help you get rid of the issue. 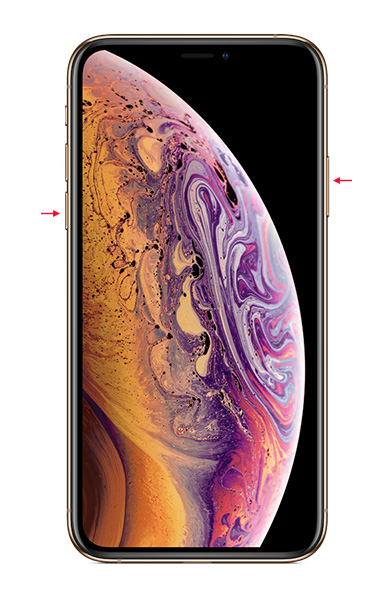 Follow below steps to force restart your iPhone XS Max. Step 1: First press and swiftly let go the device's Volume Up button. Now repeat the same with device's Volume Down button. Step 2: Now long press the device's Side button till the time Apple logo is displayed on your screen. Wait for the reboot process to complete. If the above discussed four methods haven't solved your "iPhone XS camera blur" issue, you need to go for a restore of your device using DFU mode. Remember that a restore of your device by DFU mode might end up deleting all your device's data. Hence, we highly recommend to take a back up of all your data before going for a DFU mode restore. 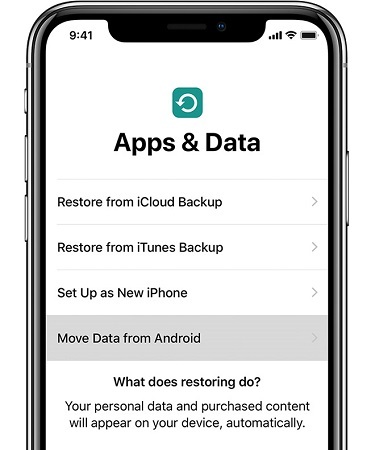 Later on, you can reboot your iPhone XS Max by DFU Mode and restore the data from backup. Follow below steps to restore iPhone using DFU mode. Step 1: Hold the device's Power as well as Home buttons for a minimum time of 5 sec. Continue holding them till your device's screen goes black. Step 2: Release the Power button but keep holding Home button for a minimum time of 10 sec. Congratulations! Your iPhone XS Max is in DFU mode now. Step 3: To exit the DFU mode, hold the Power as well as Home buttons for almost a minimum time of 10 sec. Release the Home button but keep holding the Power button till the time Apple logo is displayed on the screen. Apple logo means device has exited the DFU mode. To fix the iPhone XS Max camera issue, if it is yet unresolved with all the options discussed above, you will now need some good help. And that help is provided by Tenorshare ReiBoot. It is the best option to go for when nothing works for you. With its easy to understand user interface, the software aids to help get rid of any type of iOS problem instantly. Follow below mentioned steps to get your "iPhone XS Max camera look blurry" issue solved. Step 1: Launch Tenorshare ReiBoot on your system and connect your iPhone XS Max to it. All you need to do now is click on the Repair Operating System option displayed on main screen. Step 2: The newest firmware package is a must for nest process and hence download it using the Download option present on the screen. Step 3: Now the final step is to repair your iPhone XS Max. TO do so click the option "Start Repair", which will initiate the repairing process. The above article presents you the best 6 solutions for iPhone XS Max camera look blurry camera problem. We hope, you got the best solution for your issue from our article. Also we recommend, Tenorshare ReiBoot as the best option to resolve the camera concern. The tool with its amazing features can help you get rid of your camera issue. You can freely share with us your feedback in below comments.